David’s note: There’s a lot you can learn from Himu and his journey! Yes, it’s important to learn to code – but that doesn’t mean you need to code 100% of the time! Find the balance that’s right for you. A great message that’s just in time for the Coding for Admins webinar! I always thought that you had to know how to code to build software applications. My perceived complexity of coding always stopped me from taking the plunge in learning how to code. I have always wanted to be at the forefront of technology. For me, that meant building innovative, value-driven apps. I was envious of my friends who had studied computer science while I studied Civil Engineering in upstate New York. I was limited to the physical structures I was working with, while their work seemed endless and could reach anyone just by writing a bit of a language I didn’t understand! This thought nagged at me as I moved to Bangladesh to work for an INGO. Non-profit funding is not always straight-forward. Often times, donors use funding windows, which guide the organization’s investments. Funding windows do not move at the same pace as digital systems, so organizations face challenges prioritizing and investing in digital systems. This organization had Salesforce, but were only using it to collect project data. They were not using Salesforce for operations such as HR and administration, and instead were using time-consuming paper-based processes. To me, this was a waste of time and resources. Why not integrate all project and operations processes into the same system? If only I knew how to code! No matter how hard I tried, I just couldn’t understand what was happening with Apex. For me, it wasn’t just about passing the challenges and racking up points, I needed to understand the underlying concepts and fundamentals of the language. Salesforce documentation assumes a background in coding so I could not make head or tails. I was demotivated; here I was back in college, the Civil Engineer who had the technical-know to construct the Golden Gate Bridge (maybe), but didn’t understand code. 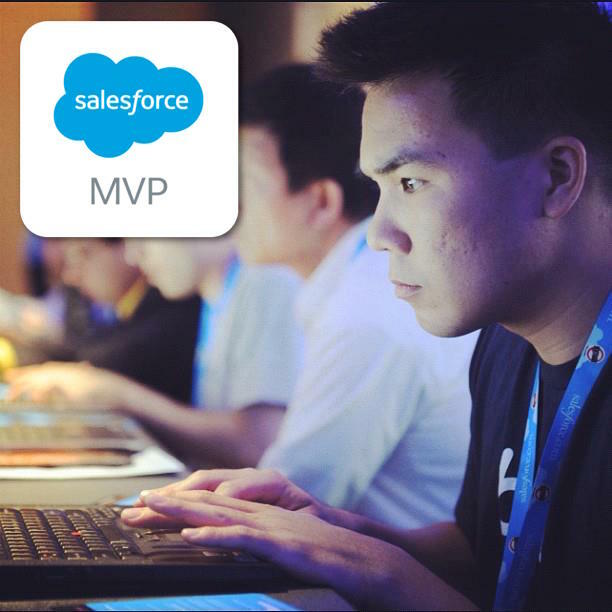 David Liu and SFDC99 to the rescue! David had just launched Apex Academy, I read the course description and immediately signed up to Pluralsight. I started learning Apex and realized that although the language is important for complex customizations, declarative development was enough for the solution I was seeking. Armed with this knowledge and renewed confidence, I lobbied for enterprise resource planning using the INGO’s existing Salesforce org. Significantly, I was a Civil Engineer – not a coder – and I had penetrated a domain I previously believed I was not certified to enter. I was conducting app demos to convince the whole organization of 200 employees of an ERP’s value, making difficult data modeling choices which could have scalability ramifications, building an intranet and a mobile app. Most importantly, I felt I was adding value by improving the INGO’s efficiency and saving the organization man hours. Along the way, I became well-versed in user-centered design, change management, and agile development. After a year of continuous development and administration of the org, while doing my original role, I needed to make a choice: continue with the stable job with dual roles or risk everything and focus solely on Salesforce. The entrepreneurial spirit demanded I do the latter. Throughout this time, I was building my proficiency from Trailhead and Apex Academy, scorning at the thought of certifications (wondering if I could pass). But I read David’s career series paired with encouragement from my mentor, and thought why not? Not only did I pass the Administrator exam, I went on to pass the Advanced Admin, Platform App Builder, and Sales Cloud Consultant certificates all on the first attempt in the space of 5 weeks! Platform Developer and Technical Architect next! Armed with the certifications, I launched my independent consultancy, focusing on ERP implementations and offline data management for non-profits. All thanks to the timely pick me ups of SFDC99 and Apex Academy! David, you’re a fantastic inspiration in perseverance, keep doing what you do! Wow! this is very inspirational… Well done Himanshu Dhungana.. Anything is possible as long as you can focus and push yourself out of your comfort zone..